If you are looking for a great place to unwind, enjoy the Sierra Nevada Mountains and other great locations like Bass Lake, Sugar Pine Railroad and Yosemite National Park, along with places to go wine tasting, fine dining, hiking trails this is it. 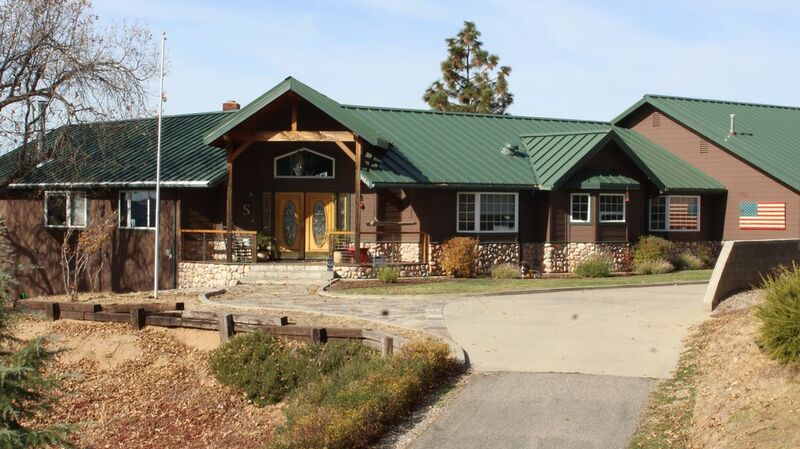 This beautiful home has great views of Oakhurst Valley and amazing sunsets from deck or spa. We are located 30 minutes from the Yosemite entrance and an hour from the valley floor and 30 minutes from historical Mariposa. Working vacation, no problem, office with internet and work station available. Or if you are just looking for a quiet day to yourself, grab a book from the library and read or take nap or a picnic down in the garden. Thank you for allowing us to stay in your gorgeous home. We loved eveytning about the house. It was clean , it was big and the views are phenomenal. So close to eveytning from bass lake to Yosemite. We wouldn’t hesitate to stay here again. Owner Steve is a stand up gentleman and I would recommend his house to anyone. We very much enjoyed our relaxing week getaway for the holidays! When we walked in the house was decorated for the holidays and we found the homeowners had left us homemade cookies, snacks and even quiche! An absolute gem of a place that made our holiday. We try do make our guest stay more like a second home, just not a rental house. Rachel communicated timely as we had asked to enter the garage to retrieve some things. We would enjoy having Rachel and her party stay with us again. Thank you Steven Santos for your hospitality. We had a great vacation due to your picturesque house. The welcome basket and warm cookies were a great touch. The view was breathe taking and we enjoyed sitting out on the patio. It is a very well maintained and spacious house. Kids enjoyed all the toys and electronic games. The kitchen has great appliances and was equipped with every thing we could and more. Also, thank you for a quick responses to our question. We will come to this house again in future.if coming to Yosemite National Park. Thank you Dev, we try to make your stay as close to being at home and just not a house to sleep in. We would love having you back as guest. thank you for keeping the house clean when you left. Spotless, prosperous house with fantastic views. Few easy miles to the lake. Thank you very much for a great effort to make our stay at your place so enjoyable. All my friends are expressing the same warm feelings. Hope we stay at your wonderful house again!